So, the rumors of a switch to Wear OS didn't pan out. 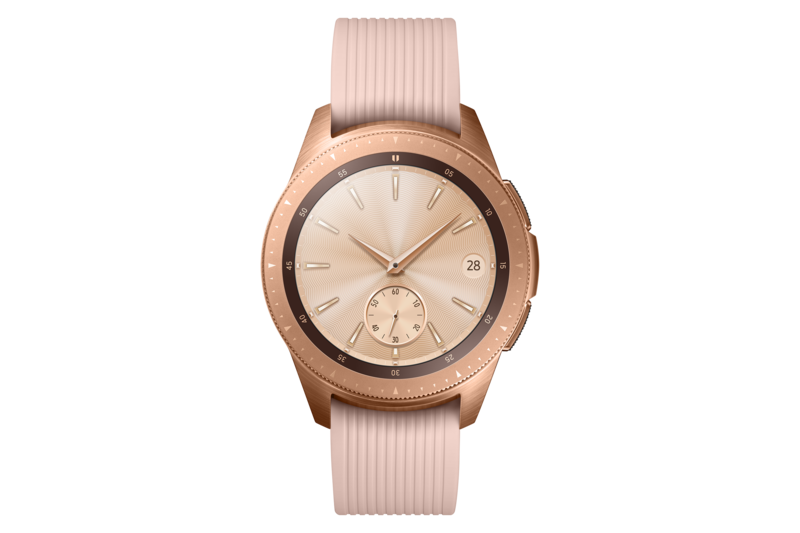 This watch will run an upgraded version of Samsung's Tizen OS. A big change this time is the availability of Bixby voice control on the watch, which doesn't seem to work very well based on the Unpacked demos. It's still better than S Voice on the last-gen Gear watches which basically didn't work at all. Both watch sizes have a 360x350 round OLED display, but the 46mm version is a little larger at 1.3-inches versus 1.2-inches on the 42mm. 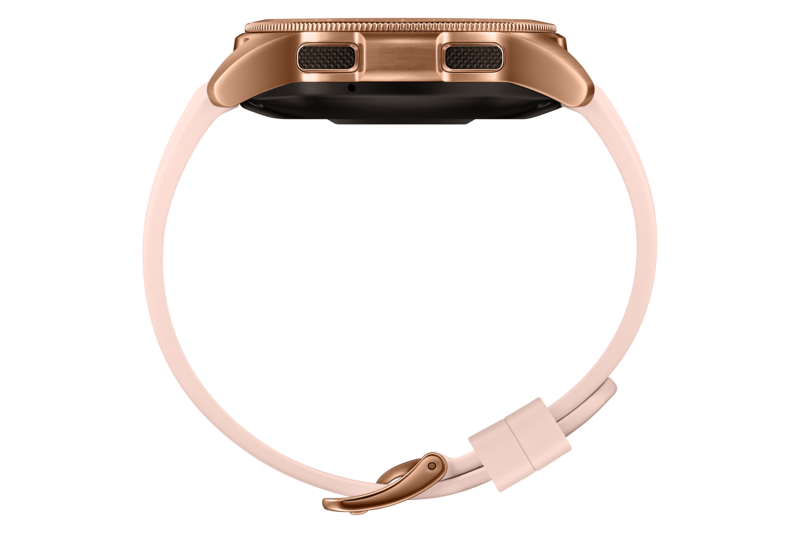 The battery is also substantially larger in the 46mm watch; it's 472mAh, and the 42mm watch has a 270mAh cell. Samsung claims about seven days of battery for the larger watch and three days for the small one. 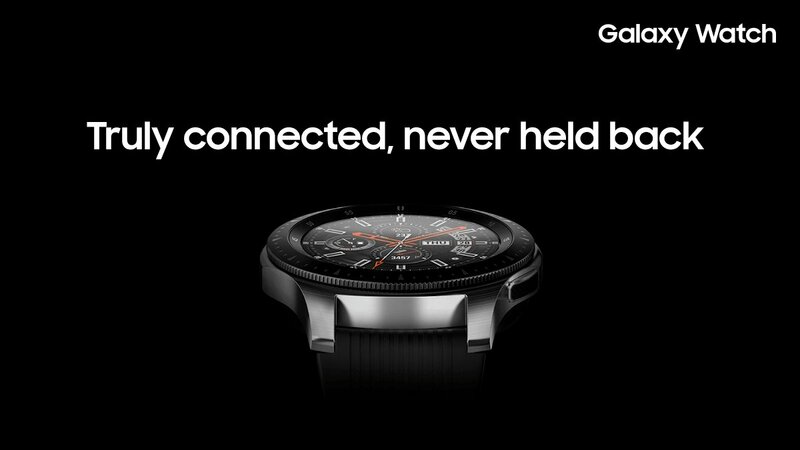 There will be both LTE and Bluetooth-only versions of the watches. The LTE variants have 1.5GB of RAM, but the Bluetooth ones have half as much. 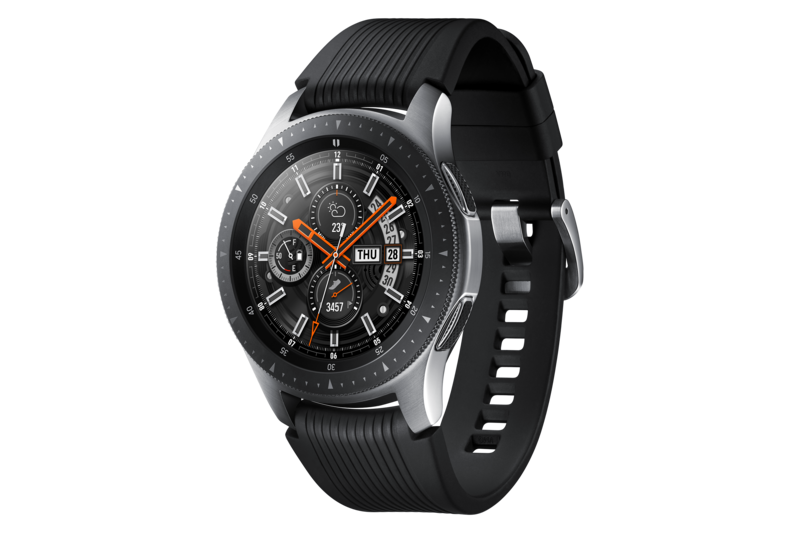 All Galaxy Watches have the same Exynos 9110 dual-core SoC. 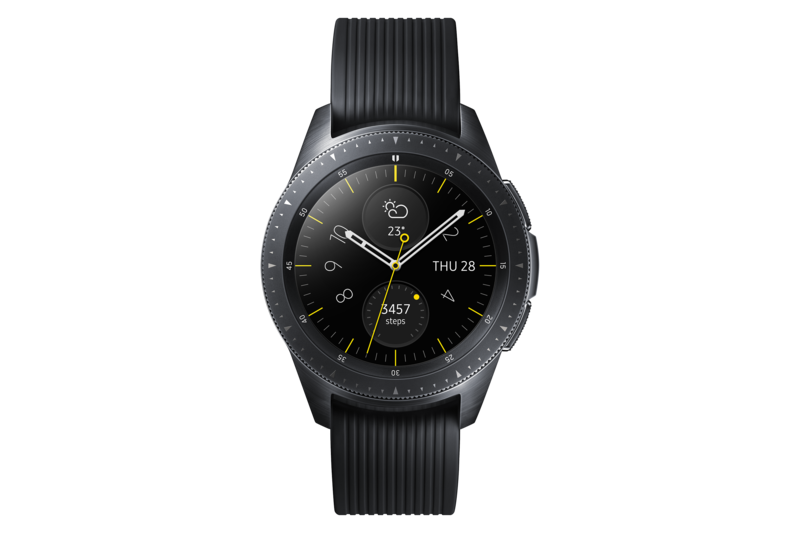 The Galaxy Watch launches in the US on August 24, 2018 at select carriers and retail locations. It'll hit Korea on August 31. 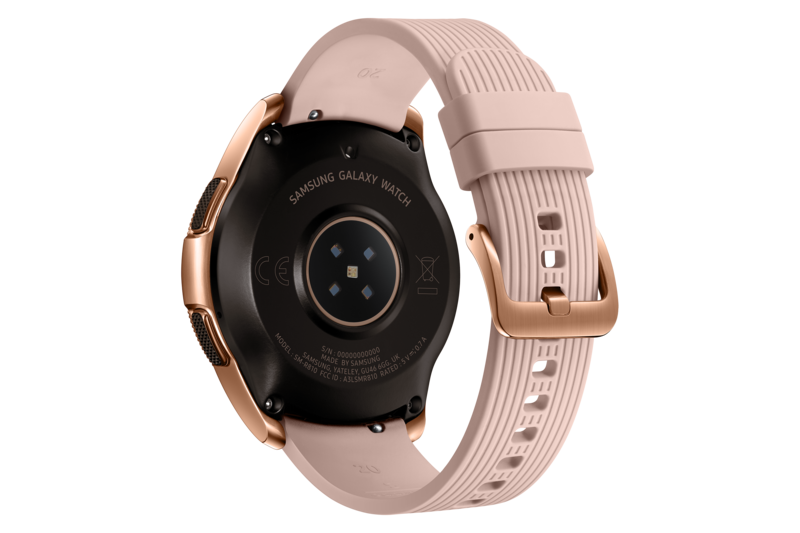 The Bluetooth versions will sell for $329.99 (42mm) and $349.99 (46mm). 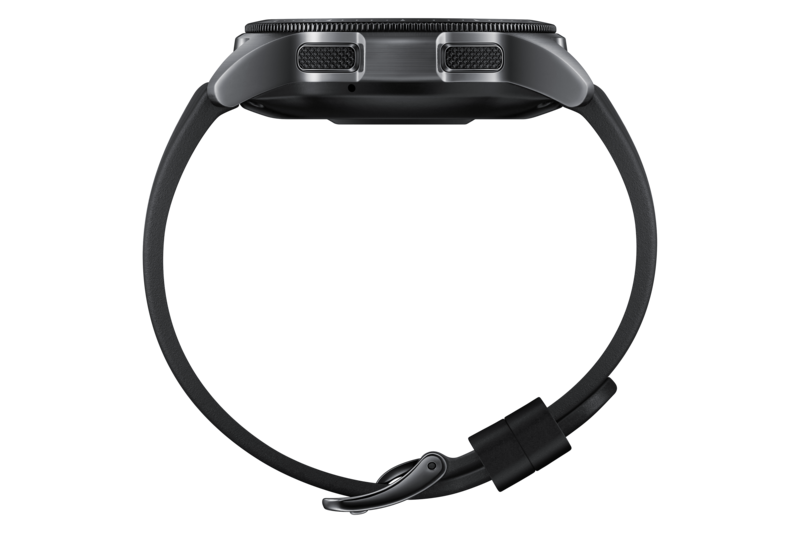 If you buy before September 8th, Samsung will throw in a free spare watch band. The LTE variant will come to AT&T, T-Mobile, Sprint, and Verizon in late 2018.